Liquorice Creative is a graphic, magazine and web design studio based in Fleet Hampshire. With over 25 years’ experience in the design industry, we deliver original, innovative and engaging solutions whatever the project or budget. We are passionate about advertising, branding, illustration, publishing, print and web design, we work with a wide variety of clients within many different industries. We also have specific experience in the magazine industry with our creative and managing director Jason Taylor. Jason provides design and pre-press services to a vast variety of the UK’s magazine publishers. Clients range from small specialist and independent publishers, corporate contract agencies, business 2 business publishers and some of the UK’s largest consumer magazine publishers such as Haymarket, IPC, Emap/Bauer, and Dennis Publishing. Jason has been Art Editor on many popular and ground breaking titles such as Auto Express, Newspaper Focus, Litho Week, What Hi-Fi, Kerrang!, Metal Hammer and Q Glastonbury Review and has helped develop many of the UK’s most popular new and relaunched magazines such as NUTS and Shoot! He is used to working with all kinds of genre; Music, Fashion, Motoring, Sport and Leisure to name just a few. 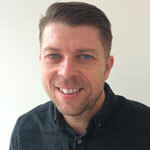 Jason can provide services in design, prepress, exhibition graphics and print procurement, working closely with many of the UK’s major printers. So if you are a small business who can’t afford a full-time in-house designer, a company who is looking to outsource their design responsibilities or a bigger publisher who have in-house design staff but need additional resources from time to time, Liquorice Creative can provide the solution you need.